We are only human. We are prone to make mistakes. But when you are a bus driver in command of a multi-ton commercial bus with passengers on board, you cannot afford to make errors in judgment. One wrong decision can cause a bus crash that results in injuries to yourself, your passengers, and possibly other motorists on the road. Bus drivers must to drive defensively and cautiously. Unfortunately, not all bus drivers do so. A bus accident resulting from the bus driver’s own carelessness or negligence can cause not only the bus driver, but his or her employer, to be liable for injuries sustained in the crash. Proving that the driver was careless or negligent may not be as easy as it sounds. The assistance of a skilled bus driver accident attorney is often necessary to ensure your case is properly supported by evidence and persuasively presented. Continuing to drive after signs of equipment or system malfunction. Proving a driver committed one or more of these errors can be challenging if there are no eyewitnesses. A resourceful bus accident attorney can look for traffic camera evidence, testimony from engineers and reconstructionists, and logs and other documents from the driver and/or company to help corroborate a client’s case. The defendants (the bus driver and/or his or her employer) owed you a duty of care. Drivers and companies typically owe passengers and other motorists an obligation to drive in a reasonable and careful manner, follow applicable Department of Transportation regulations and federal and local laws, and keep their vehicles in safe working condition. The defendant breached the duty of care by failing to fulfill its obligations in some manner. This can be shown by proof that the bus driver sped, disobeyed a traffic light or sign, or otherwise violated the rules of the road. Your injuries and losses can be compensated through a monetary judgment. So long as you have some loss – a medical bill, pain and suffering, etc. – that can be compensated through money, your case can succeed. Both testimony and evidence are important in establishing each of these facts. For example, the “breach” portion of the case can be proven by eyewitness testimony from other drivers or passengers as well as from still images or security camera footage showing the bus being driven in a reckless manner. Your injuries can be documented and proven through medical records and bills you have received for treatment. Important evidence necessary to prove your bus accident, such as logs or the bus’s onboard computer information, can be lost if you or your attorney do not take immediate steps to secure this evidence soon after a bus crash. 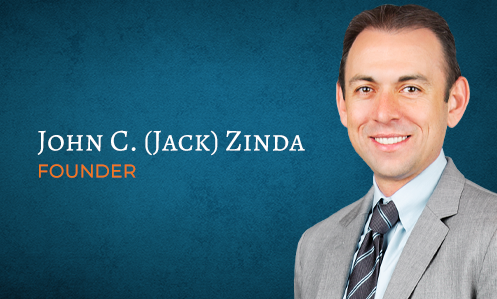 That is why it is important for you to contact Zinda Law Group at (800) 863-5312 to schedule your free consultation today.